Over the past year, the percentage of organizations using a private cloud server grew from 63 to 77%. The vast majority of cloud users (71%) are now using a combination of public cloud services like Azure or Amazon Web Services (AWS) and private cloud. If you're already using Azure or AWS, you may be considering a move to your own cloud server. In this blog, you'll learn about whether you're a good candidate for switching, as well as best practices for making the change. Are You a Good Candidate for Your Own Cloud Server? If you're considering your own cloud server, you're most likely interested in private or dedicated infrastructure. Having your own cloud server may be referred to as "private cloud," which is defined as closed-end, dedicated infrastructure that can satisfy high security and regulatory requirements. In contrast, dedicated cloud means dedicated, non-shared resources provisioned in a public cloud infrastructure. If you're using AWS or Azure, you're currently operating under a "public cloud" model where your assets are stored on shared resources in a multi-tenant environment. You want the potential for hybrid deployments. It's also wise to consider potential trade-offs before making the switch. There are some specific advantages associated with AWS, Azure, and other flavors of public cloud. In general, dedicated cloud solutions are usually more complex and requires more planning, administration, and technical know-how when compared with traditional on-premises setups. All this typically translates to a higher cost of ownership. However, the following largely depends on your current agreement and contracts. Depending on your current contract and the provider you select, you may note that higher recurring costs are a primary disadvantage of making the switch. In addition, depending on your agreement with your current provider, you could face financial penalties for terminating your agreement. Will you go fully dedicated or opt for hybrid? Hybrid cloud is the most common approach to virtualization. In many cases, choosing a hybrid approach to private and public cloud allows organizations to experience the best of both worlds. You're able to maximize a limited budget and prioritize the workloads that require private cloud. Data that is not sensitive or subject to compliance or that lacks predictability in demand may qualify to remain in a public cloud. For more insight into how all three options stack up, we recommend Public vs. Private vs. Hybrid Cloud: Which is Best? 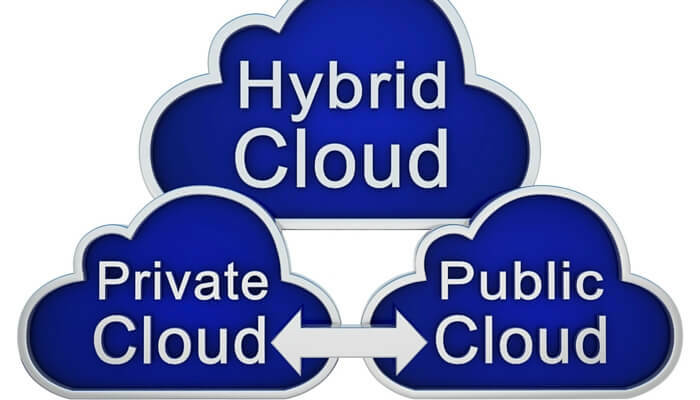 Hybrid Cloud Offerings - If you're going with a hybrid approach, considering centralizing your public and dedicated cloud offerings with a single business provider. Unified Business Communications - A provider who offers complimentary services can offer long-term cost savings potential, convenience, and easier troubleshooting. Reliability - Inquire about service-level-agreements (SLAs) and a potential providers' reliability guarantees. Redundancy - Investigate redundant power, cooling, and data services. In addition, geographic redundancy for cloud backups is crucial. Security - Important types of security include both technical safeguards and physical (building) security. Compliance - If you are subject to HIPAA, SOX, or other measures, your provider should offer an appropriately compliant environment and be forthcoming with their Final Report on Compliance (FROC) results. Technical Support - Ideally, a prospective provider should offer multiple channels for technical support 24/7/365. Scalability - As your organization grows, your need for dedicated or public infrastructure shouldn't outpace your provider's offerings. Some organizations may opt for a slow approach to going hybrid based on a tight budget. Others may wish for a "big bang" implementation, which takes place during hours when data and workload demand is minimal. The right cloud provider will not only assist in planning your migration plan, but will have the flexibility to accommodate your needs and preferences. Atlantech Online provides both Windows and Unix-based dedicated hosting. Client benefits include redundant site hosting to ensure high data availability as well as high-level security measures. 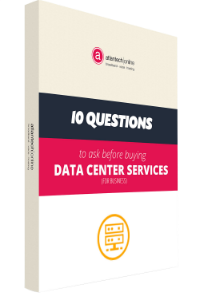 Best of all, Atlantech offers a pay-as-you-need pricing model and just-in-time delivery options. To contact Atlantech, click here.